This September, our tenants (and one of the founding organisations of Chapter) Everyman Theatre, present Do Not Go Gentle in the Seligman Theatre, a co-production with The Drill Hall Theatre Company from Mullumbimby, New South Wales, Australia. Here, Everyman's Kathy Thomas tells the second part of the story of how this exciting production came to be. Click here to read part one. We were delighted to be awarded a Community Grant to take part in the Gwanwyn Festival. This festival, organised by Age Cymru, celebrates and encourages participation in the Arts of those aged 50 and over and provided just the boost we needed. The feedback we received from those who participated in our ‘Do Not Go Gentle’ event in Chapter was both inspiring and humbling. The project expanded with a fully rehearsed Everyman Cast presenting the opportunity to tour local theatres. April 2016 saw the formation of a Working Party. Flights needed to be booked, hosting arrangements made, a social itinerary planned and fund raising activities organised. 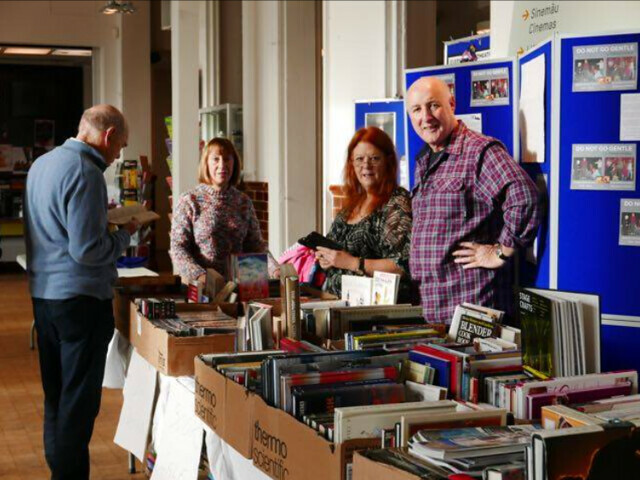 ‘From Laugharne to Taunton, Frome and St Ives’, ‘Love in the Discovery’, ‘Myths and Mayhem’, Craft and Book Stalls - all helped to raise over £1,300. Budgets were drawn up, marketing strategies discussed and T-shirts ordered. The Working Party became the engine room of the project and St Canna’s Ale House kept the cogs turning.